Are you applying for graduate nursing or RN roles? Contact us today for assistance on how you can prepare professional, flawless, and comprehensive application documents. Get in touch with Brisbane Resumes today and leave your nursing resume to a team of professionals who can help you secure an interview. The application process can both be daunting and tedious, but it doesn’t have to be that way. One way to look at applications positively is to take it as an opportunity to step back and reassess the qualifications, skills, competencies, and growth that you have achieved in your career so far. A lot of people do not even have the time to pause and recollect how they have been able to grow and develop in their job progression, and the job search and applications process is an especially important period where you should be looking at how your resumes and other supporting documents express your skills and experiences in one coherent and compelling package. A selection criteria document is one of the best ways to contextualise how well you should be able to fulfill certain roles, thus letting recruiters know how you plan to accomplish the duties that are assigned to the role. Key selection criteria are standards and expectations that must be met by applicants. It demonstrates in clear and strong situational examples how an applicant has navigated through certain scenarios in the past, with the goal of convincing the recruiter that they are indeed worth considering for a job. In order to successfully go through the application process, you must always directly address the criteria as this is the most important part of your application package. By having a strong selection criteria response document, you give yourself better chances at being shortlisted for an interview. 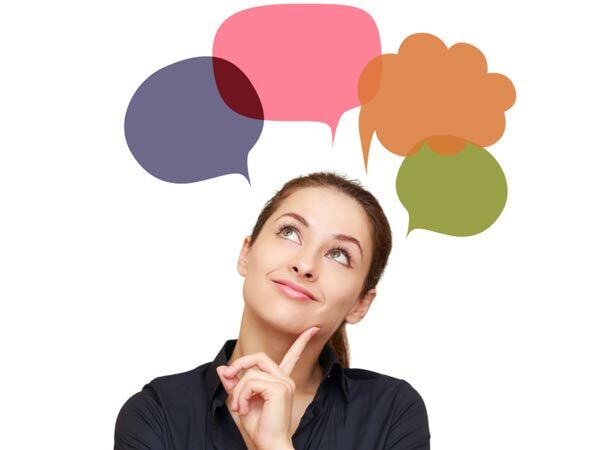 Moreover, interviewers often base their questions around these criteria when conducting face-to-face interviews. Selection Criteria or Key Selection Criteria are often found in the Position Description or Job Description document, the outline of the job roles and responsibilities that are often posted by companies and recruiters in various recruitment channels. Selection Criteria may be explicitly labeled, but sometimes, you will have to look within the document to see which selection criteria items must be addressed. Note that each position will have its own unique criteria, so you will have to write separate, unique responses to address each criterion. Selection Criteria: Must be able to communicate with influence and mentor junior staff. As a manager, I am tasked with the role of providing mentorship and effective leadership to my junior staff and colleagues. I model ethical and responsible behavior by always ensuring that I focus on my staff’s professional development. When one of my staff members was obviously lagging behind and would chronically fail to meet deadlines, I took the initiative to counsel and provide advice so that they will be able to improve their performance. To be able to communicate and provide sound advice to the staff member, I needed to take him aside and sit him down in a manner that will allow him to feel comfortable and to be in a safe, non-judgmental space so that he will be encouraged to discuss his issues. I encouraged him to talk openly without fear or repercussions or judgment, as it was important for him to be very honest about what was affecting his performance. It turned out that he was distressed because of problems at home. He was overwhelmed with problems, and it was affecting his performance at work. I suggested different measures like talking to management about possibly temporarily reducing his work hours so that he could take more time to resolve issues at home. I also recommended a brief leave so that he can sort out his personal affairs. I also gave him recommendations to seek out advice from our company’s professional development department so that he can address his HR concerns and look at his options. After our discussion, he was encouraged to speak to a HR supervisor to discuss the possibility of taking a few days off. We were able to make arrangements for his temporary replacement, and he was able to come back to work after a week with renewed enthusiasm and determination to finish the job. As a result of my intervention and my counselling, I was able to present options so that the staffer was able to recover from being affected by personal issues at home. This improved his performance, and he was able to contribute effectively to the team. The previous example is just an illustration of how a STAR response is approached. However, you should be able to fully utilise the method in order to tell a detailed story of how you were able to address the criteria. Be very specific and provide strong examples that illustrate actual, measurable and quantifiable results. Cite numbers, statistics, and positive outcomes, and also, detail the effects and the results of your initiatives in a way that shows significant improvement. When writing your selection criteria responses, it is important to note the limitations or special instructions that recruiters often include on the job description. Some job description forms may have certain requirements or instructions on the format, page count, and the number of words. Look for these special instructions before beginning any writing exercise, as it is important to be within the prescribed format. Furthermore, some criteria may require a word limit as you may be required to paste and submit these responses in an online form or template. Staying within the word count guarantees that you will not be discounted or disqualified due to technicalities, as is a regular occurrence. Addressing criteria in itself is an exercise in discipline, following instructions, the ability to address requirements. Therefore, you should take this opportunity to make a good impression and to make your mark even before you meet the recruiters. A well written and compelling selection criteria document will not only let you stand out from your peers, but it will boost your opportunities to highlight special projects or tasks that will give you an edge in a highly competitive position. Focus on getting your selection criteria up to a certain standard by directly addressing what these criteria are asking for. You can also rely on resume writing services like Brisbane Resumes to assist in you in accomplishing your selection criteria requirements. We are experience in filling out criteria documents that land our clients prestigious and coveted roles. Our expertise is in crafting well-composed criteria responses that strategically outline the strengths and special capabilities of our clients. Contact us today to know more about how Brisbane Resumes can help you get started on your way to writing and completing a comprehensive, factual, and impactful selection criteria. Switching to a different field, industry, or profession might be daunting for some people since they think that they need a lot of catching up or adjustment to do. The task to conform to the required skills and expected competencies for a new job seems monumental, and the shift from the old field to the new may be one of the biggest mental hurdles that a professional must conquer. However, professionals tend to underestimate just how transferable their skills are. Skills and competencies from a specific industry may also be relevant in other industries, and it will all depend on how you package yourself and how your resume will present your strengths and capabilities. Despite the general notion that you should follow a singular career path throughout your adult life, circumstances arise and interests change. For some, better opportunities or more room for growth may be the driving forces for their decision to change their career paths, and that is entirely possible. Pivoting to another field may seem like a huge leap, and individuals often find it difficult to even phrase their strengths so as to make them suitable when applying to a new job. How you tell your history and your experience in a way that will compel hiring managers is half the battle, and you must be able to articulate and express your values, skills, competencies, and qualifications in a way that will make you stand out from other applicants. Here are some of the important things that you must remember when reflecting a career change in your resume. This first step is crucial, because the moment you read a job description, you automatically picture how your strengths and previous experiences will qualify you for this job. Going through a bullet list of required competencies and qualifications will be like ticking off boxes in your mental checklist, and you will often ask yourself “Do I have this skill? Am I equipped with this training, certification or qualification?”Certain jobs are asking for specific histories and experience, and by going through the job profile thoroughly, you will get a sense of the adjustments that you will need to make in order to be a good fit for the job. When you are done self-screening and applying the qualification and criteria items to yourself, you should advance with a clear focus on your previous education and training. Note that even if you did not study or engage in a training course that might be directly related to the job that you are applying for, certain subject areas often have overarching thoughts and concepts that will help you regardless of the industry that you are in. Certain concepts and thought systems such as management, organisational development, group dynamics, and sales can be applied across various disciplines. These skills and training opportunities will present you with various tools and capabilities that you can certainly tailor around your perspective role. Elaborate on the learnings that you can bring from your previous experiences, and be aware of how you can use these to your advantage. As mentioned earlier, there will always be certain skills that you should be able to bring from your old role to the next. For example, a Chef who wants to venture out of the kitchen may find that their executive leadership skills and staff management will be a perfect fit for any store management or team leadership task. Supervisors or managers may find themselves comfortable with a Human Resource-focussed job since they are exposed to hiring and staffing issues on a daily basis. Cruise ship workers may also find common ground between their duties and that of a flight crew or cabin crew member, as they are both in the travel and hospitality sector. No two jobs or disciplines are too disparate to bridge so long as you can justify and articulate how you can translate and apply developed skills to bring value to your new workplace. Professionals who desire a career shift tend to focus only on the role title itself. 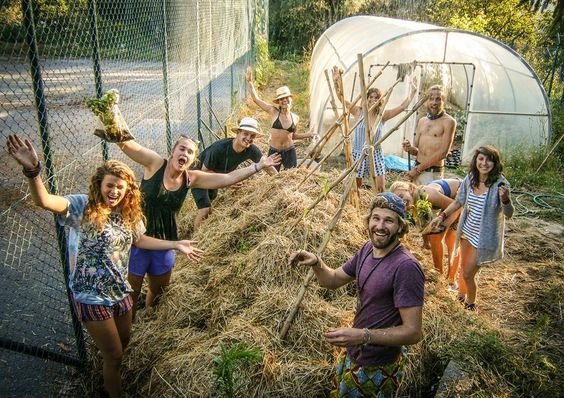 However, the day-to-day conduct of work projects and tasks often entail the same set of skills and responsibilities. The rote conduct of daily professional routines include the same set of tools such as communication and interpersonal skills, management acumen, multitasking, teamwork and team dynamics, and the ability to delegate and follow orders. Highly impactful tasks may be at the helm of your old career, but in the daily conduct of work duties, the same behaviours and capabilities are at play, including negotiation skills, documentation, records keeping, administrative duties, and other ad hoc tasks. Focus on these attributes and outline important examples where you can demonstrate how you conform to these criteria. When you have made up your mind on how you can bridge your skills so that you can transition to a new field or industry, be sure to write an effective and compelling resume that focusses on your highly transferable and resilient skills. Both your resume and your cover letter should centre on your new goals and objectives moving forward in your career, and it is best to conceptualise your career change documents in a way that will highlight how you can successfully translate your well developed skills to help you contribute positively to your new workplace. For professional help, please contact Brisbane Resume today: [email protected] or call 1300 174 435. We assist with professional resumes, cover letters, selection criteria and LinkedIn profile writing. The best way to make the most out of your Professional writing service is to be involved in the process and to be proactive in ensuring that your resume still sounds like it was written by you. While you may struggle with a wide array of problems such as inadequate English writing skills, inexperience with Resumes, or not knowing how to “sell” yourself and your skills to your recruiter, a Resume writer should complement your talents and skills and highlight your most relevant and applicable qualifications. An excellent Resume consultant should be able to not only edit and spruce up your professional documents, but they should be able to guide you through the entire writing, editing, and submission process. There are industry guidelines and best practices that Resume consultants are privy to, and they can use this knowledge to provide you an advantage over your peers. Some of those standards include the National Employment Standards, ensuring that information such as your date of birth, is not included In your new, professional resume. Do participate and prepare to invest your time. At the very least, Resume Writer will have you send your previous professional documents, including old CVs, referral letters, certificates and other professional credentials. Be thorough and include everything you might need to highlight your experience and expertise. No one knows you better than yourself, and there is only so much that a Resume Writer can do to produce a fitting Resume for your career goals. You must be the one in control of your own career aims as told by your past achievements and your value as an employee. Do supply in depth reference documents. Skilled in a specialised computer software that might boost your chances at landing that job? Send in that certificate and let your Resume writer take care of the rest! Certified in a rare skill? Show your Resume consultant your credentials and they will highlight that in your resume! Be thorough with your proven accomplishments and let your achievements shine. Do fill out an update form. Do not be stingy with details! This is one of the most time-consuming component of the process, but the more time you invest in filling in the update form, the better and the more personalised the outcome of your resume! We are aiming at presenting you in a competitive, yet impactful manner and anything that will give you a “point of difference” counts. One of the most important reasons why resumes get binned is the lack of character or professional references. Even if you decide not to include references as is accepted practice, make sure to add “Supplied upon request” as an alternative. Most Resume writers are aware of key positions and job designations, but sometimes, companies can have specialised titles or differing operational definition of a certain title or role. Supply specific information to inform your Resume writer of your key responsibilities and roles. Better yet, send in your old Job Description document if you still have it on file. There is no such thing as too much when talking about your relevant accomplishments such as awards, commendations, key projects, recognitions, and certifications. Impress with actual numbers, financial outcomes and figures, KPIs and other metrics. As long as they are helpful to your application, your CV writer will highlight them in your job responsibilities to breathe some excitement and colour to your professional profile. A common mistake that applicants do is leave out long periods of unemployment unaddressed, creating a gap in the employment history. If you took a break to go pursue further study, to help out in a family emergency, or even to go on a vacation or an extended trip, don’t be embarrassed to specify these periods in your resume. It is better to be forthcoming about these gaps than to wait to be asked about these missing dates in your resume. Last but not the least, make your Resume sound authentic, warm , and personal by doing a read through and working with your Resume consultant to fine tune the draft into a document that suits you best. Being involved in the process also ensures that you are able to point out occasional errors or inconsistencies, or adjust certain sections to your liking. Whilst you can expect your resume to be ready for sending, a final look won’t hurt so that you don’t miss opportunities to further improve the draft by adding in your personal touches. Get in touch with a resume writer today to find out how you can maximise help and land that dream job. As most of job hunters know, a resume is a brief document that highlights one’s qualifications and experience. While not all resumes are befitting the requirements of all positions, below is a short explanation of the types of resumes and how each of them can be well structured and suited to ace that job. This specific type of resume is widely used and highly preferred by Recruiters and HR/ Hiring Managers. Strategically, you have to list down all the jobs you have held throughout your career wherein readers can see how you have progressed and grew in your profession or line of work. This type can also easily identify your flexibility and adaptability in working with different companies as you make your way into the career ladder. This type is best for people who have progressed in their field over a period of time or for people who were moving to a more popular and in demand company. This type focuses on skills and experience, rather than the employment history. In this type, we highlight the ‘Key Accomplishments’ or ‘Notable Awards’ of a person to add depth to his/her qualifications. This is better done with a ‘Profile Summary’ where all skills, knowledge and experiences are mentioned in the most concise manner. A Functional Resume best suits people who have wide gaps in their employment or having too much experience of too little responsibilities. Obvious in its name, a combination resume is a mix between a chronological resume and a functional one. Every relevant detail of your career has its own spotlight in utilisingthis type of document. The top most of this resume usually highlights one’s skills and qualifications, making an impactful mark on the reader. Incorporating information through competencies can help connect the functional to the chronological order of the employment history. This kind of resume tailors how you are best fit for the job in giving the recruitment team all the information that they need. We find that the Combination Resume provides applicants with the best results, during the initial selection process. For all of your Professional Resume, Cover letter and Selection Criteria support, contact one of our Professional Resume Writers today! 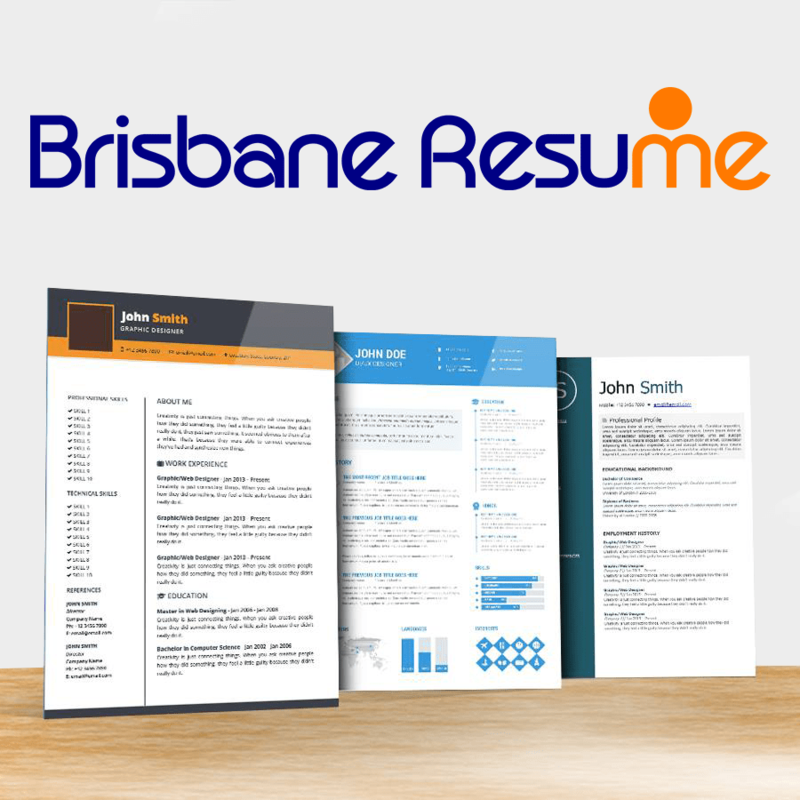 Contact Brisbane Resume today on [email protected] or call 1300 174 435 for all of your Professional Resume and Cover letter writing needs. Initially you should include your name, contact details, a professional summary of who you are, your education and/or qualifications, and your employment history. Others falling into new and specific categories like hobbies and interest, references, seminars attended are all dependent on how it will add weight to your resume. For example, there is no reason to include that you have attended a seminar about handling power tools in fabrication if you are applying to be a Chef. Other important things to include are core competencies and of course – key achievements, which really make you stand out from the other applicants. In all, creating a “point of difference” with your resume is crucial. An employer really wants to know why they should pick you from the 400 other people that have applied for the same position and therefore, things like Key Achievement provide you with a competitive edge. How far do I go back enlisting my employment history? We say that the most acceptable number of years to go back when detailing employment history is 10 – 15 years. Unless it is a re-application of a totally different role you had way, way back and you wanted to highlight some key achievements from before, then it will be more valuable to go beyond and include every positive bit of your career. Do I write my employment history in chronological order? Outline each role and company in chronological order, starting with the most recent, including the dates you have been there. Make sure to include the most relevant career achievements to the role you are applying for. How many pages does a standard resume have? The number of pages depend on how much experience you have and what level of employee/professional you are. If you’re an entry-level candidate, a 2-page resume should be sufficient. On the other hand, for more experienced candidates and academic resumes, we recommend a maximum of 5 pages which is kept straightforward. You can always play with the font sizes and types to achieve the perfect length. Please remember to focus on the quality , rather than the quantity. You are better of having one extra page in a resume and providing valuable information to the recruiter which will make you stand out from the other applicants, then not including that information simply because of page count. Should I include all of my positions or only those relevant to the role I am applying for? 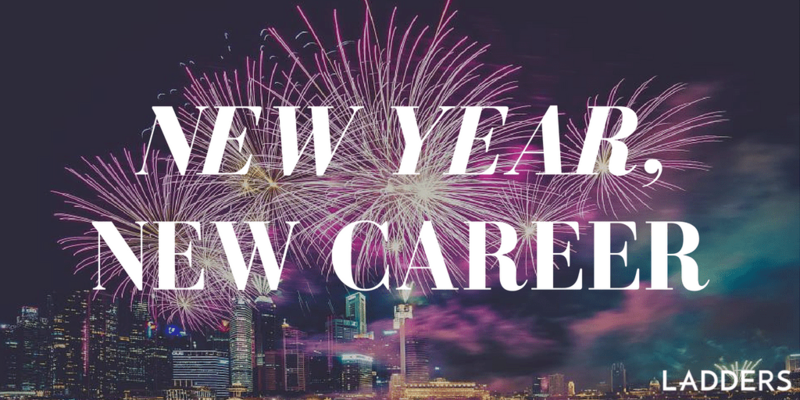 If you only provide the relevant roles you had over the years, especially when you have had various career changes, this will only result to employment gaps in your resume. It is better to include the previous roles even if they are not relevant but keep their duties to a minimum, in a way that only important duties and tasks are reflected. Don’t forget there are many “transferable skills” which might still be relevant, even if the role is very different. How many resumes do I need? A single resume is enough for over 95% of job seekers. However, you do need to tailor your resume to whatever position you are applying to and make sure that all transferable skills are mentioned and directly outlined in relevance to the new role. If it’s a professional photo that goes well with the resume, then why not include it. Just take note that many recruitment agencies say that when you include a photo on resume, it enhances the possibility of discrimination and unconscious bias against the applicant. Some countries have high regard on this matter, and Australia is one of them. Also, in line with National Employment Standards, we don’t want any employer to discriminate and therefore, the focus of the resume should be on how you perform the role rather than how amazing you look. Is my birthdate important to mention in my resume? Any personal data beyond your contact details should not be included in your resume. While some countries require to include the date of birth, we highly recommend to leave out important numbers that could allow anyone to steal your identity. No employer should make judgement based on your age, therefore by not including this – we eliminate any potential age biases. Is it necessary to list down physical characteristics in my resume? Like what we have explained in adding a photograph, physical characteristics such as height, weight, eye and hair color, etc. will only open doors of possible accusations of discrimination against the company. Therefore, hiring managers prefer that you do not mention these things unless they are requirements for the role. Can I oversell myself or exaggerate my qualifications? We strongly advise against any false information in resumes (what’s that, you used your friend as a reference?). Try to be honest in all aspects of your submission. As professional resume writers, we can work with the information you provide us to make you stand out and present professionally and we don’t need any false information, in order to be able to do that. False information can also come to haunt you later down the track, not to mention ethical and legal implications. Don’t sweat over your own resume – Leave it to the professionals with a brand new Professional Resume and Cover letter, customised to you! We will ensure that your new documents are professional, impactful and also in line with National best practice. Contact us today at [email protected] or call 1300 174 435. The STAR method is one of the most popular ways of structuring examples and demonstrations against selection criteria requirement. By using this method, it becomes clear to see the definitions and connections of your experiences to what is the role requirement by simply discussing your situation, the tasks to be dealt with upon the situation, the actions you have done to complete the tasks and the results following your action. It is one way to present your claims in an organised order so that anyone who is reading it, would easily decipher the narrative in a clear and concise manner, disregarding anything that is not related to the criteria and get your thoughts flowing. The STAR method stands for Situation, Task, Action, and Result. Firstly, you have to describe a work situation that you were faced with relating to the criteria given. Then, describe the tasks entailed with the situation that needs to be addressed or you had to complete. After mentioning the tasks, it is for you to provide the actions taken to complete each task in the most effective and efficient manner. This is where the employers will see how you are in times of crisis or problems within the work area. Proactivity and efficiency are key aspects on how they see you as an employee. Finally, the results will describe how effective your actions were and if these actions provided positive outcomes to the problems. In short, if you have effectively resolved the problem. There is a plus point if the result has also reached through areas not targeted but are also at risk of the problem, this will provide the reader, or the employer a perspective of what else you can offer, hitting two birds in one stone by hiring you. As doing something well once doesn’t mean that you are consistently good at it, using the STAR method must be done in the most specific way. Giving shallow examples that others might have done as well without sweat doesn’t make you stand out. If deciding to use this highly popular method, you must apply outlining and sincerity for them to feel that you are definitely a cream of the crop. The employer or the selection panel wants to know that you have the capability and consistency of bringing forward the best knowledge, skills and abilities for the position. The STAR method is mainly used for all government submissions and also university submissions. Our writers specialise in the STAR response method and we can certainly help you with addressing any applicable selection criteria. When applying for a job, you will want to provide a highlight and glimpse of your career goals and showing your profile and experiences is ideal to sell yourself fitting in the available position. 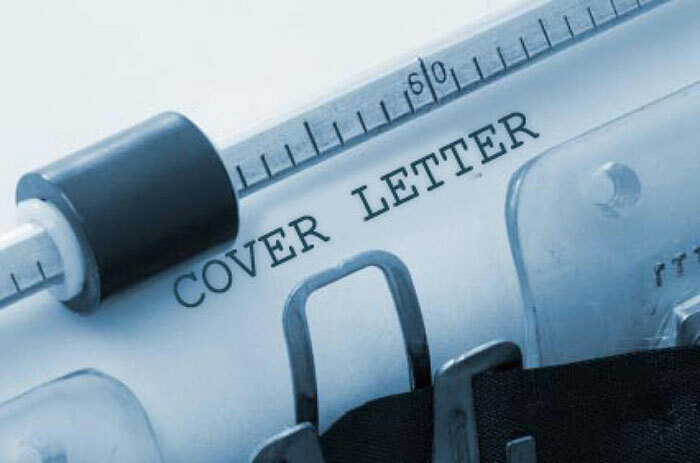 A perfect cover letter is the key to do this. But what if you don’t have that flawless stepping path? Answer is, it is all about highlighting your transferable skills. This approach will direct the conversation towards whether you can do that job or not—and that is exactly what you want to do when you haven’t had a linear career path. First, list down which skills you want to emphasise by carefully reviewing the job description. Then, focus on the most important technical and behavioural skills the position requires. Choose three skills that you think are your strong to focus on. Then for each of this skill, think of the projects, tasks, duties and responsibilities that truly explains your expertise in that area. Finally, roll them all together into a cover letter that clearly explains all skills together with your experienced responsibilities. Insert your personal attributes, creativity, and knowledge of the company you are applying to into your letter. Don’t bother walking through your entire career path and justifying every professional decision you made. Do the hiring manager and yourself a favor, and let your skills speak for themselves. 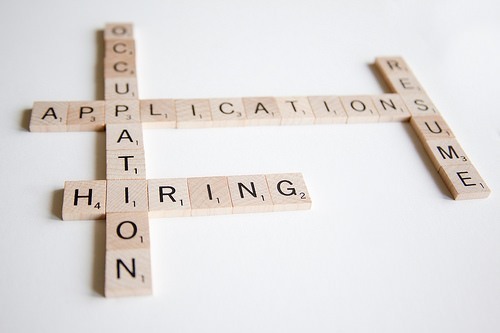 Are Employment Gaps your Resume Dilemma? As most of us already know, a complete outline of your whereabouts provides a great example of an effective and outstanding resume. So what happens when you take a time off and does not know what else to include as part of your career growth over a specific period of time? Below are simple discussions as to why and how we resolve this dilemma. 1. You can always use or highlight the activities you have joined or have been affiliated to, to fill in the gaps in your personal career timeline. Just take note that you might have something related to the activity you have been that could be directed or related to the job function you are applying to. For example, Volunteer Activities or community involvement, you can always use these and extract the lessons you’ve learned from the experience or a variety of tasks you were assigned with to complete your resume. Just be creative when telling your story! 2. The short gaps will not be apparent. You can always sell yourself in your Professional Profile Summary and direct your readers (or recruitment officer) to your exceptional skills and qualifications. Draw their attention on your selling points and make them less consider the short gaps. 3. When returning to the workforce after a long absence, always indicate how you’ve been working or studying to be updated with everything related to the industry you are applying for. Show or tell them articles or blogs you have read or have to peak their attention. 4. If the reason of your absence is because you grew your family, got married, continued your education or took care of a sick family member, you can always include that but don’t sound that it is a bad thing. Your negative attitude (or energy) might affect how they see you as a member of their team. Always maintain a positive, happy disposition to everything and bear in mind that every day is a learning process and there are no incidents happened in our lives without a reason. Make sure to learn from it!